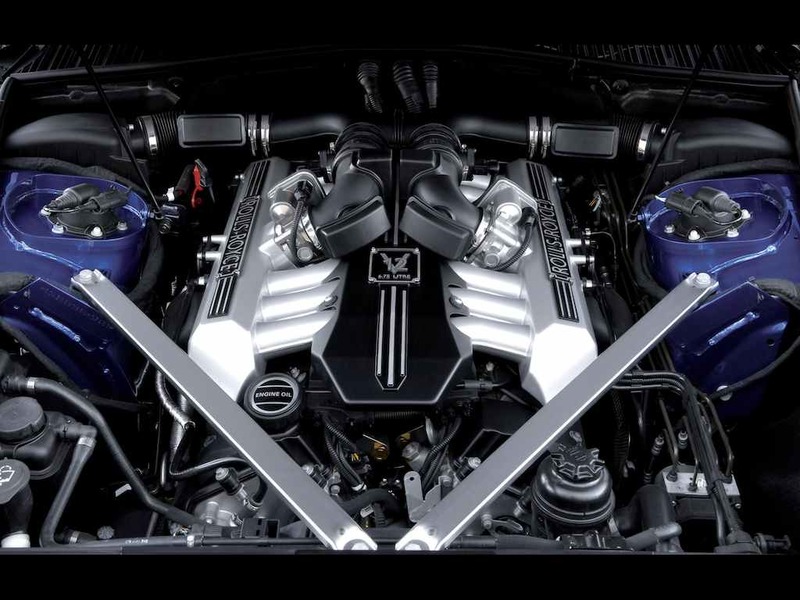 There are only a handful of choices come to your mind when thinking of luxury cars, and ultimately most people will easily recall the name of Rolls-Royce. Unquestionably the name is always associated with incognitos of luxury, elegance and snob. Among the innovative creations of a British automobile giant is the $1.8 million Rolls Royce Phantom Drophead Coupé, a lavishly stunning grandeur four-wheel that took American Cup J-class yachts of the 1930s as the inspiration. It is so amazing to see this elegant beast moves silently down the quiet side of the road, as quiet as a wind breeze and smooth as a silk. And the most astonishing attribute of the Phantom Drophead Coupé is the all potent aluminum 6.75 litre V12 engine that can make this exquisite mobile runs so silently as you can hardly hear the sound at all. After a smooth twist to the left, this stunning convertible slips gracefully into the expressway, drawing open admiration and interest stares from all other drivers around. Sustained by its sheer size and opulence, the sporty Rolls Royce Phantom Drophead Coupé brings a charismatic aura, something that you can expected from the world’s most expensive soft top convertible. This two door, four seat convertible is incontestably one of the most beautiful car in existence, with its aerodynamic shape front end, large-diameter wheels, an all lightweight rigid aluminum space-frame, soft-top fabric hood, stylish brushed steel bonnet, and glossy rear teak decking. With treated wood as a defining feature, the beautiful rear teak decking has been the tribute to the luxury’s car nautical inspiration. Made up of up to 30 separate pieces of blonde-green-teak, whose clean grain and rich coloration present a visually startling complement to the fabric soft-top hood, the Phantom Drophead Coupé is truly a one-of-a-kind style that not only takes you on the road but elevates your mood as you enjoy the ride. In just a glimpse it is evidence that this car has gone through tremendous effort and research. The Phantom Drophead Coupé is the first convertible that came out from Rolls Royce since 2002. As for the hood itself, everything is cool and serene inside the car once it is up, because it is made from no less than 5 layers of sound-deadening waterproof material. A look from the front of this stunning creation is very distinctive in style. The huge and steel-finished front grille create an impression of perfect blend of classic good looks and casual elegance, with a base cleverly designed to move in the event of a low speed impact. The Spirit of Ecstasy, the ever legendary statue which now has been remodeled for a more lively appearance as it stands majestically on the grille, gazing calmly onto the road. Another elegant touch addition is the rear hinged coach doors, making easier for both driver and passengers get into this comfy model. A unique closing assistance system is ready to help you at the mere touch of a button inside passenger space; the inclined doors will swing pleasingly so you don’t need to stretch uncomfortably out to pull the door shut. The 5.6m-long Phantom Drophead Coupé is a huge car by ordinary standard of size. Navigating this grandeur convertible is as easy as driving a compact car. The convertivle’s sheer size is compensated by high driving position and skinny steering wheel, making you easily view the road. Compared with the original Phantom, the Drophead Coupé is 225 mm shorter, so you can easily control the turn of its wheels. Indeed, the car performs well on all surfaces-be it over smooth expressway, rough side-roads or bumpy street. And more importantly, it all ensures more sensitive grip when driving it as this stunning four-wheel really makes you as you fly lightly in the sky. 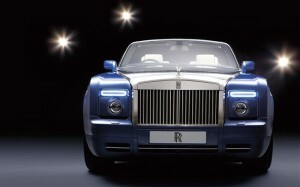 Combination of the stiff car body, low centre of gravity and astonishing absence of vibration produce this luxury Phantom an exceptionally smooth, powerful and virtually silent ride; yet it has the capability of delivering impressive 75 per cent of power at just 1,000 rpm and managing an outstanding acceleration from 0 to 100 km/h in less than six seconds. As can be expected from such a luxury piece, the Phantom Drophead Coupé also does extremely well in terms of its safety. While the car’s Dynamic Brake Control (DBC) system helps reduce a stopping distance as the emergency brakes function, the Corner Brake Control (CBC) system assists to stabilize the car while making a turn. Both systems are designed to overcome the difficulty when driving the car and most importantly, it enhances its safety at best. Passengers are also protected by advanced “pop-up” roll-over protection devices that concealed within the rear seat headrests. In case of inbuilt sensors detect a possibility of the car being overturned, the roll-over devices can be activated within 0.3 seconds to support the car and protect rear seat occupants. Of Course the front seats occupants are well protected also by Rolls Royce signature triangulated “A” pillars, which can withstand the weight of the car. The impact absorbing crumple zones and aluminum structure can also reduce the effect of front impact collision. In this ultra deluxe convertible, you can forget the worry of having a flat tyre. With its run flat tyre technology, the car can literally run on just 3 wheels. 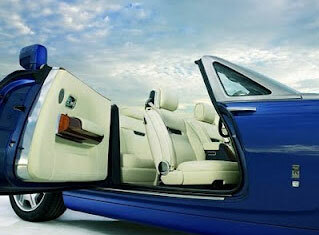 Rolls Royce is indeed more than a car manufacturer. It has hitherto been referred as a symbol of world’s class crème de la crème. 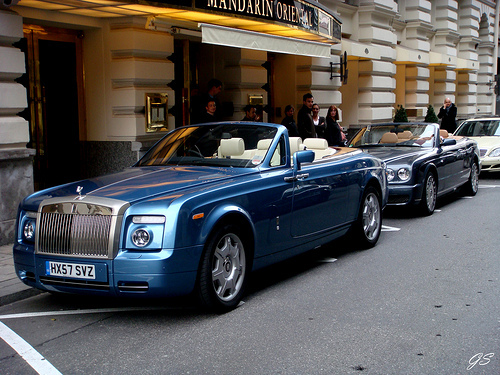 The Phantom Drophead Coupé was devised from positive response and feedbacks Rolls Royce received for 2004 100EX, which was the first experimental car to be produced by Rolls Royce in the new millennium. 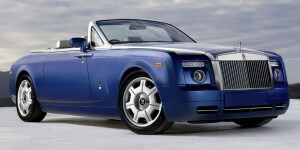 To this day, the Phantom Drophead Coupé has already received 8 confirmed orders in Singapore. Published in the 3rd edition of PMR Magazine S’pore, September 2008.